Boat Description The Princecraft Sportfisher 24 LP4S is the perfect boat to improve the chance of getting a nibble on the water. It combines the amenities and comfort of a recreational pontoon with the fishability of an honest-to-goodness fishing boat. 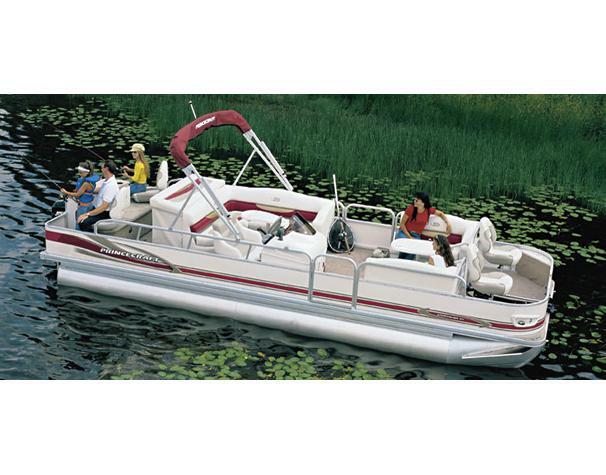 Standard features include a fiberglass helm console with complete fully-lit instrumentation, electric horn, AM / FM stereo cassette, sport wheel, glove box, and cooler. A standard pop-up privacy enclosure provides a large conveniently located changing room or head enclosure that does not block rear access. When not needed, it can be quickly and easily stowed.